On July 10, 2018, the "Nabiha Discovery", en route from Mersin to Porto Nogaro, suffered a technical failure at 3 p.m. 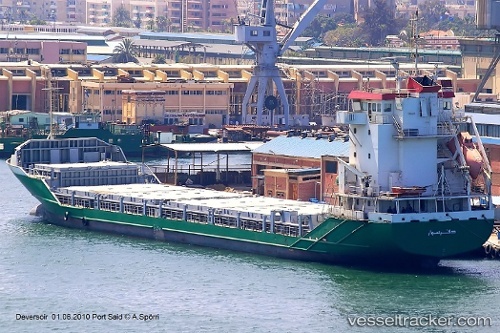 The vessel shifted to Anamur anchorage under its own power. Repairs were being carried out by the crew and the vessel resumed its voyage, ETA July 16. Around Mar 31, 2016, a freighter transiting the Suez Canal in southern direction collided with the "Deversoir" 20 kilometers of Ismailia. Both vessels suffered slight damages, the transiting freighter was inspected on the Great Bitter Lake Anchorage, and allowed to resume its voyage.